This 1886 turbine mill ground corn into meal and wheat into flour for over fifty years for the mountain community near Mingus Creek. In place of a wooden water wheel, a small steel turbine provided power to turn the mill's stones and machinery. 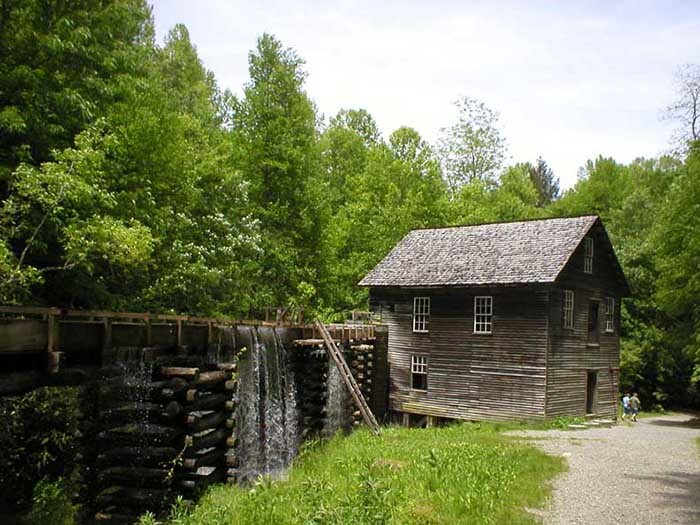 The National Park Service rehabilitated the mill in 1968, and Mingus Mill operates during the summer as an historical exhibit. Mingus Mill was built in 3 months at a cost of $600. Machinery (gears, belts, and pulleys) located on the third floor of Mingus Mill made it possible for the turbine to provide power for other parts of the mill operation like the bolting chest and the wheat cleaner. An iron drive-shaft, powered by the turbine, extended vertically through the mill from beneath the first floor all the way to the third floor. The third floor of Mingus Mill was also at times used for the bulk storage of wheat. The grain was sometimes spread across the floor to a depth of more than a foot.